A Delhi court has issued fresh non-bailable warrants against Pakistani-American David Coleman Headley, his accomplice Tahawwur Rana, lashkar-e-Tayiba founder Hafiz Saeed and 26/11 attack mastermind Zaki-ur-Rehman Lakhvi, who are accused of carrying out several terror attacks in India. The court issued fresh non-bailable warrants against nine persons after the National Investigation Agency moved an application and informed it that these accused are "absconding" and the warrants issued against them earlier have not been executed yet. Besides Headley, Rana, Saeed and Lakhvi, fresh NBWs were issued against Pakistan Army officials Major Iqbal and Major Sameer Ali, top Al-Qaeda operative Illyas Kashmiri, believed to have died in a drone attack in Pakistan, Headley's handler Sajid Malik and former Pakistani Army officer Abdul Rehman Hashmi. "An application is moved seeking issuance of NBWs against nine accused persons. It is informed that charge sheet has already been filed in this case. Perusal of the record shows that earlier NBWs were issued vide order dated May 30, 2013. The same have not been executed as the accused persons are absconding," Additional Sessions Judge Dharmesh Sharma said. "In view of the prayer made in the application, issue fresh NBWs against accused A­1 to A­9 returnable by January 4, 2014," the judge said. These nine accused were charge sheeted by the NIA in December 2011 for allegedly entering into a conspiracy with members of banned terror outfits LeT and HuJI to commit terrorist acts in India. The court had earlier taken cognisance of the NIA's charge sheet against all the nine accused for their alleged roles in various terror acts in the country. The NIA, in its charge sheet filed on December 24, 2011, had accused Headley, Rana, Saeed and six others for planning and executing terror strikes in India, including the 26/11 Mumbai attack. The NIA had earlier told the court that Headley did dry runs of several places in India before the 26/11 Mumbai attack and he had also gone to Pakistan several times where he also met Pakistan Army official Major Iqbal, an accused in the case. The probe agency had initially registered a case against Headley and Rana but after a thorough probe, seven other names were included as accused in the case. The charge sheet, which was filed after two years of probe by the central agencies, contained statements of 134 witnesses along with 210 documents and 106 e-mails. 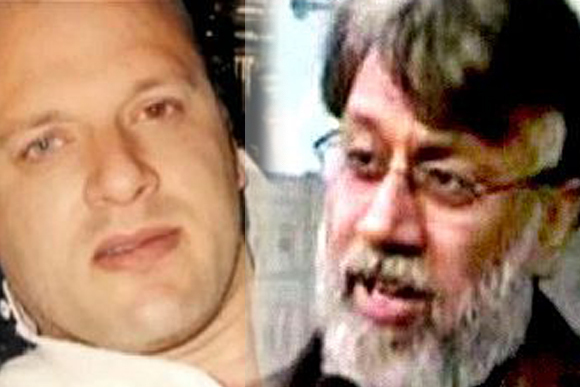 Headley and Rana are at present in the custody of the United States authorities and NIA has only got a limited access to Headley, who had entered into plea bargain with the US authorities to escape harsh sentence. These nine accused have been charge sheeted by the NIA for various offences punishable under the Indian Penal Code, including sections 121 (waging or attempting to wage war against the country) and 302 (murder) and also under the provisions of the Unlawful Activities (Prevention) Act.